Summary: New York Times bestselling and Edgar Award winning author Lisa Scottoline is loved by millions of readers for her suspenseful novels about family and justice. 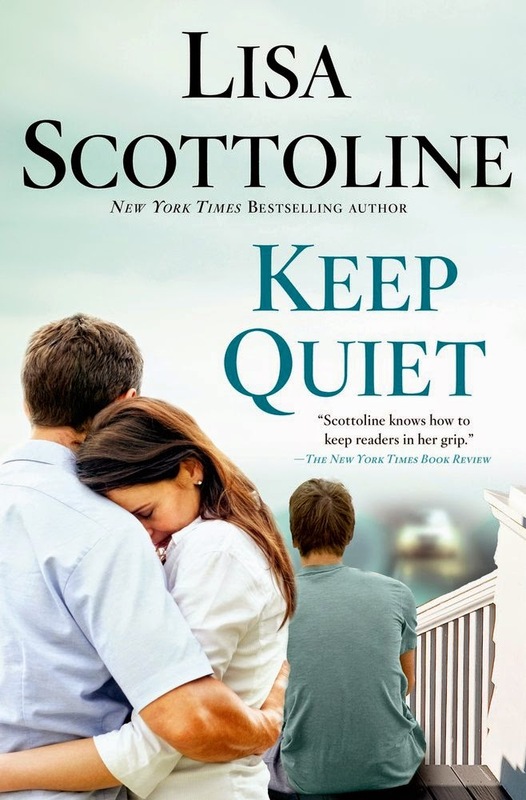 Scottoline delivers once again with Keep Quiet, an emotionally gripping and complex story about one man’s split-second decision to protect his son - and the devastating consequences that follow. Jake Buckman’s relationship with his sixteen-year-old son Ryan is not an easy one, so at the urging of his loving wife, Pam, Jake goes alone to pick up Ryan at their suburban movie theater. On the way home, Ryan asks to drive on a deserted road, and Jake sees it as a chance to make a connection. However, what starts as a father-son bonding opportunity instantly turns into a nightmare. Tragedy strikes, and with Ryan’s entire future hanging in the balance, Jake is forced to make a split-second decision that plunges them both into a world of guilt and lies. Without ever meaning to, Jake and Ryan find themselves living under the crushing weight of their secret, which threatens to tear their family to shreds and ruin them all. I have been quite a fan of Lisa Scottoline's novels and essays for some years now, but I admit it's been awhile since I've read one of her mysteries. Her latest novel, titled KEEP QUIET, is out tomorrow; and I have to say it's quite the crazy ride. This book delves into some complex ethical and moral issues, but it's also full of shocking twists. I honestly read this book in just a few sittings because I couldn't wait to see what would happen next. Let me give you a little background about KEEP QUIET and you'll see what I mean. Jake Buckman is married to Pam and father to 16 year-old Ryan; however, his relationship with his son is strained at times. Since Ryan is much closer to his mom, Jake decides to pick him up one night after an evening at the movies with his friends. As Jake is driving Ryan home, he sees an opportunity for some male bonding and even makes a breakthrough in communicating. So when Ryan asks Jake if he can drive his car on an empty road, even though it's past curfew and technically against the law, Ryan allows it. Unfortunately when taking a blind curve, Ryan hits what they think is a deer. They immediately stop the car and find that it's not an animal -- rather it's a woman who was out for an evening run. Ryan immediately freaks out and Jake desperately wants to protect his son. Given what has just occurred (plus another little surprise that Ryan throws at Jake), Jake sees that he has little choice; and therefore, he makes a decision that will forever change their lives. Between the guilt that both men feel as well as the additional cover-up and lies, they feel their lives are in a downward spiral; and they aren't sure that they can live with the consequences of their actions. I had a hard time writing the description for KEEP QUIET because I didn't want to give away any spoilers. I fear I might have hinted at a few; however, trust me when I tell you that there is a lot more that happens to Jake and Ryan and their family after the accident. Truly, each page in this novel was suspenseful as things just escalated in Jake and Ryan's lives. Just when I thought their living nightmare couldn't get any worse -- it did! I was seriously impressed with Ms. Scottoline's writing in this novel. I've read enough of her books to know that she can really write. I especially appreciated how she not only wrote a suspenseful story with many twists and turns, but she also managed to capture the feelings of a protective father in addition to the way guilt can eat a person alive. Furthermore, I really liked how she delved into the life of a modern day family. The Buckmans were a well-to-do family who lived outside of Philadelphia. Jake was a successful (and self-made) financial analyst while his wife Pam was a judge. Ryan was a good student and a stellar basketball player. Despite outside appearances though, this family was far from perfect. There were complex relationships issues between Jake and Pam as well as insecurities and baggage based on events that occurred in the past. After this tragedy occurred, this "normal" family just fell apart; and while Jake thought he could keep things together, he quickly learned that far too much was out of his control. As far as a mystery goes, I actually wasn't quite sure that there was much of one until part-way through the novel. As the ending approached, it quickly became apparent that there was a lot more going on than I initially though. I had a feeling that another shoe was going to fall, by the end of the novel, I was rewarded with a pretty shocking surprise. While I didn't guess the exact outcome of events, I had a feeling... and I wasn't disappointed. I will say that while I enjoyed KEEP QUIET a great deal, I did have a few issues with the story. First of all, I thought the initial premise was a little predictable. In fact, I thought I had even read a book with a similar plot before. 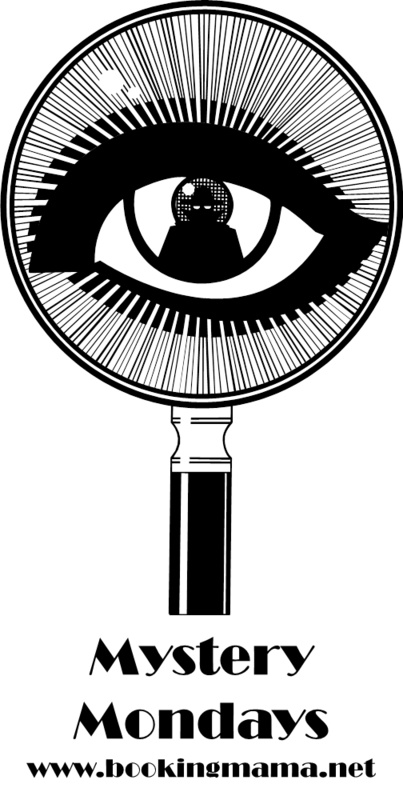 Having said that, by about halfway through the book, I learned that the story was, indeed, suspenseful and quite unique. I also had an issue with how the novel ended. It wasn't the resolution of the mystery that bothered me. Rather, it was how tidy things ended up for the Buckman family. On one hand, I was glad that everything worked out for them; but on the other hand, I just thought it was a little too neat compared to the rest of the story. Ms. Scottoline is a big fan of book clubs and I think she must have had them in mind while writing KEEP QUIET. There truly is so much to discuss about this novel. I actually had lunch with a friend last week and we were discussing the ethical implications of Jake's actions. As a parent, I am pretty sure that this novel was more complicated and painful for me than it might be for other readers. As a result, I am definitely recommending this novel to book clubs that are made up of parents! In addition to discussing Jake's action and his relationship with his son, there are many other interesting issues too including lies, honestly, marriage, deception, revenge, sacrifice, love, duty, forgiveness, and redemption. 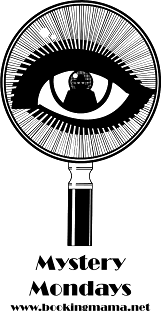 You can find the formal discussion guide here. KEEP QUIET was a very interesting read for me. Highly recommended! Thanks to Sarah Hall Productions for providing a review copy of this novel. I love books that begged to be talked about. Despite your thoughts about the ending, I think I'd like this. I've only read one of her books and I liked it but I didn't love it. Now I'm thinking I must have read the wrong one. This book sounds terrific! I have enjoyed her books as well... this one sounds good. Review: Mimi Malloy, At Last!